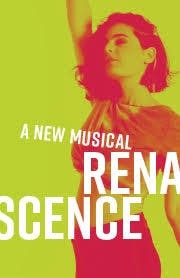 Renascence is the story of Edna St. Vincent Millay, who lived one hundred years ago, a hundred years ahead of her time. At eighteen she writes a staggeringly profound poem that rocks the literary world and transforms this girl from rural Maine into a cause cèlébre. Vincent captivates everyone in her orbit (male and female), and is hero worshipped by young women for her unabashed intellect and frank sensuality. She works her newfound fame, leaving in her wake broken relationships with those who believed in her before anybody else. In her New York debut, composer Carmel Dean sets Millay’s words to music in a lush, contemporary score, immersing the audience in this Pulitzer Prize-winning poet’s groundbreaking but sometimes overlooked artistry and provocative point of view that today resonates more than ever.